In this extended analysis, I’m going to look at several things that are keeping The Amazing Spider-Man from really blowing us away, and how I would’ve fixed it. I really wanted to love The Amazing Spider-Man. Many people complained that it was too soon to reboot the franchise as the original came out only ten years ago, etc., etc., but I – being a lover of all super heroes and Spider-Man in particular – was firm in my belief that if a reboot had a new, interesting spin to bring to the character and could deliver a great Spidey story that the Sam Raimi films couldn’t, why did we have to arbitrarily wait longer for a good show? Did TASM deliver on those fronts? Did it justify the rapid reboot? Well, yes and no. At the risk of engendering the ire of Film Crit Hulk*, I feel like this movie had problems with it’s ‘second act.’ Let’s examine what TASM brings to the Spider-Man legend, and also what it needed to change, story-wise, to justify the sudden reboot. Marc Webb’s reboot of Spider-Man definitely explores some new angles to the character; the mystery about his father’s work, his parents’ death, and what’s going on at OsCorp is instantly intriguing. In addition, you’ve got an understandably broody Peter Parker, who shows the wear-and-tear of having his parents leave and then die as a child, then growing up as an outcast. That, connected to the ‘who am I?’ theme, is a great new interpretation of Spider-Man. Andrew Garfield really pulled off a lovable Peter Parker, despite – or perhaps because of – spending so much screen-time fumbling for words. 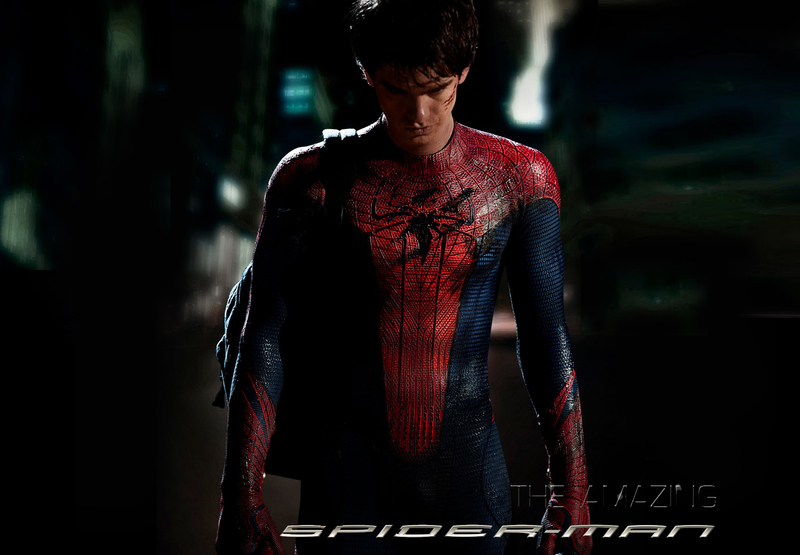 As Spider-Man, he does great as a new, uncertain super hero, except when he’s an obnoxious, wise-cracking super hero. Unfortunately, that latter end is kind of unacceptable for Spider-Man; he has to be funny, not obnoxious. When Peter was wracked with emotion, though, Garfield delivered a visceral, satisfying performance. 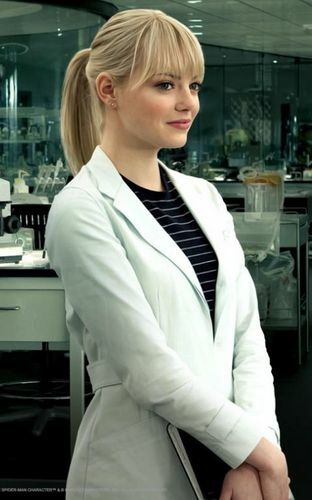 As high school student Parker, Garfield gets lots of hesitant, awkward glory, especially when combined with Emma Stone’s Gwen Stacy. Stone’s Gwen was bright, assertive, and beautiful. Their chemistry was positively tangible, thanks both to their talent and Marc Webb’s directing chops, but I still felt like their relationship lacked depth. Yes, she kind of sticks up for/befriends him at the beginning and he likes to show off the super powers for her, but I don’t know what they find interesting about each other, besides Gwen’s eyes and Peter’s smile. I feel like they only got together because the writers knew they were supposed to. Not that real life high school relationships don’t form based purely on physical attraction sometimes, but those are dumb; I mean, sure, every guy in the audience would’ve loved to make out with Emma Stone, but that’s not engaging enough for a real story. It’s not like there’s a lack of opportunities for them to spend time together and, y’know, actually talk to each other, either; they’re both brilliant high school scientists, and they clearly think the other is cute, they just needed to show a scene or two of them working together/flirting in science class before they jump to dating each other. These are two talented actors and a great director, this should have been the best super hero relationship yet, but for all the charm of the scenes they have, the script needed another scene or two between “awkward classmates” and “boyfriend-girlfriend” to really bring the audience all the way in. You’re not engaging the audience, not making us care about the story, with “They kind of know each other, and then they start going out, and they’re adorably awkward about it until the important stuff happens in the last 20 minutes.” I am paying you, you can do better. Leaving aside the two leads, the supporting characters are brilliant, as well. Uncle Ben by Martin Sheen had that great blue-collar working man dignity and knew just how to come down on Peter for shirking his responsibilities and bullying at school. Sally Field’s Aunt May was solid, if not quite as extraordinary as Uncle Ben. Though I liked Rosemary Harris’ quaint, wisdom-spouting Aunt May from the Sam Raimi trilogy, Sally Field’s version was far better for this interpretation of the wall-crawler. 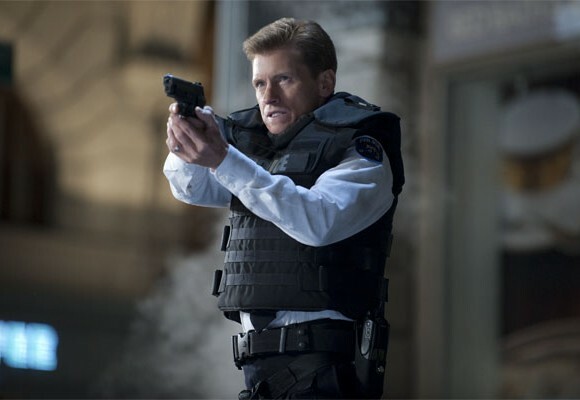 Finally, Denis Leary’s Captain Stacy was a great foil for Peter; he was the embodiment of power & responsibility which Peter was still struggling to understand. But again, an opportunity was missed here. Captain Stacy was convinced Spider-Man was a dangerous vigilante and was determined to bring him in. In the comics, George Stacy is a supporter both of Spider-Man and his daughter’s relationship with Peter Parker, whom he guessed was the aforementioned wall-crawler. I think they were kind of trying to have him kind of go there by the end of the movie, it seems kind of muddled. But let’s assume those were the two endpoints. Right now, the end of this plotline makes no sense; Captain Stacy, a by-the-book cop, has been trying to apprehend the vigilante Spider-Man the entire movie. Mind you, Spider-Man has still done very little to look like anything but a vigilante, at least that the public has seen. However, when it is revealed that Spider-Man is Peter Parker – the disrespectful punk kid his daughter is wasting her time with – then he realizes the city needs Spider-Man…because…well, huh. He’s not even aware of the situation with the Genali device, he had no idea that Peter actually had a plan. In fact, Stacy is the one who saves Spidey from the Lizard a bit later anyway, so I don’t know how he determines that Spider-Man is needed from all that. Once again, we needed some transition steps here to really build up to that conclusion; Peter and/or Spidey needed to interact with Capt. Stacy a few more times. After Peter realizes he’s just out for revenge after getting chewed out by Capt. Stacy at dinner, Spidey should have gone on a ‘friendly neighborhood Spider-Man’ tour, stopping all manner of petty thieves and crimes, maybe even leaving notes to the police. Stacy can’t make sense of it initially, until the possible connection between Peter and Spider-Man dawns on him. To test it, have him drop some important police info, like about another sting or something, in front of Peter and mention that the police can’t take the next step for whatever reason, and then have Spider-Man act on it. This would confirm in Stacy’s mind that 1) Peter is Spider-Man, and 2) he can and will be a benefit to the city. Stacy then turns into a subtle advocate for the web-slinger, redirecting police resources away from pursuing him. He also tries to mentor Peter as much as he can, trying to give him tips or hints whenever he runs into him. Spidey should then be seen applying some of these. Now their relationship is established, and the audience gets a real sense that Stacy will be an ally for the foreseeable future. This way, when Stacy is killed by the Lizard, he’s not just the love interest’s dad, who didn’t like him anyway; he’s a surrogate father figure, a man who is looking out for him both privately and publicly, and who is helping make Spider-Man the hero he is. Judging by the final words scene and how much his death seemed to affect Peter, I’d say the writers wanted that kind of emotional punch, but didn’t know how to make it happen and made the mistake of assuming we would care because we’re supposed to. This is how you make us care; make him an emotional and crime-fighting asset, and then take him away. It worked for Sirius Black, it’ll work here. Part II, where I talk about the Lizard – and oh is there a lot to talk about there – among other things will be up in the next day or two, so check back soon! *Film Crit Hulk wrote an eye-opening article on the Myth of the Three Act Structure, in which he…well…just go read the article, it’s that good. This entry was posted in Movies, Super Heroes, Writing and tagged amazing spider man, film-making, gwen, gwen stacy, man, marc webb, peter parker, spider, spider man, stacy, Writing by Stubbazubba. Bookmark the permalink. Oh, hey, this blog is a thing again. A blog about laws and super heroes analyzed Captain Stacy in the Amazing Spider-Man. Turns out he didn’t actually have nearly as much solid legal ground as he thought he did. From an in-universe perspective, this is totally explainable: Captain Stacy didn’t know the exact circumstances of Spider-Man’s crimefighting, and thus had more than enough probable cause to suspect he was dealing with a vigilante who was ambushing people he didn’t like the look of. But it’s worth noting that since every criminal he attacked was either in the process of committing a felony at the time or else actively attacking Spider-Man for interfering, Spidey would’ve walked in the state of New York, and all Captain Stacy would’ve accomplished would be putting Peter’s friends and family at risk. Including Gwen. I want a link to this blog. Be warned, archive binging was an exhausting experience for me. Perhaps less so for someone studying law. Or more.